That's probably how most of Buckeye Nation feels Sunday afternoon after watching one hell of a second third round game between Ohio State and Iowa State at UD Arena. What can you say? The leadup was all about the three point capability and dangerous shooting of the Cyclones. The game stayed pretty close through the first half, with leads changing back and forth, and to be honest, I was slightly nervous when Korie Lucious and the other Cyclones did hit a couple nice threes. 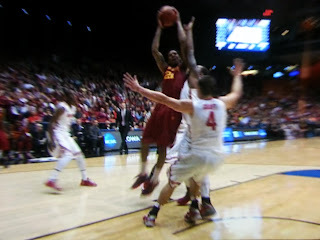 Something like 40+% of Iowa State's shots are threes, and when a team can hit those in March, no lead is safe. 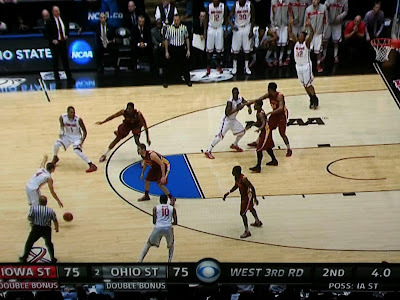 However, when Ohio State turned a one point lead with about 12 minutes left in the game into a twelve point lead with about 8 minutes left, I really did feel like the tide had turned due to the solid play by Ohio State on both sides of the court. Deshaun Thomas just kept doing what he does, and LaQuinten Ross started making plays. However, only about 10 seconds later, Lucious answered with a three right back. And then it started happening. Every Ohio State fans' heart (or at least something on our bodies) started tightening up. And it looked like some of the players started getting tight too. Especially Aaron Craft. Ross with a travel. A ridiculously bad foul call on Lenzelle Smith. 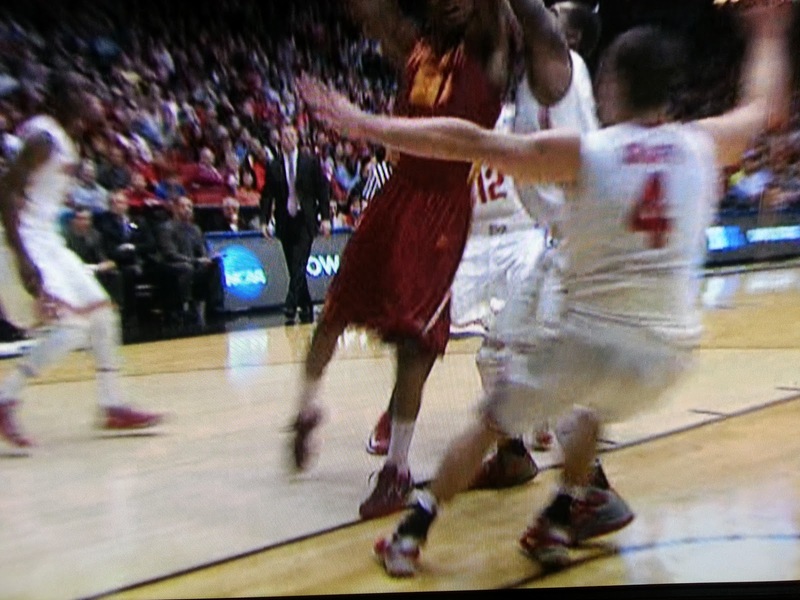 A reach in foul on Aaron Craft. A nice take by Shannon Scott made it 10. But then a turnover by Craft, an unlucky-but-inadvised missed layup by Craft, and I'm pretty sure I tried to give Coach a little advice. Like he wanted anything from me. Rest of the game just feed Thomas and look for a cutting or open Ross or Thompson. 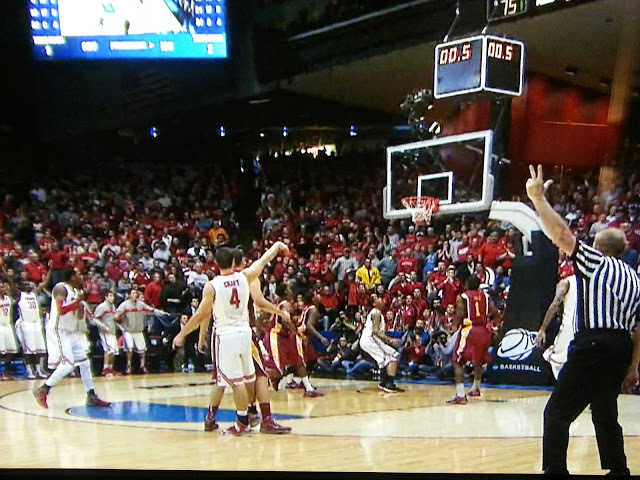 Meanwhile, Iowa State made their free throws, and Aaron Craft didn't. Missed the front end of a one-and-one at 4:40, and another at 4:07, bookended around another Iowa State three pointer, and followed immediately by a Lucious drive and-one. 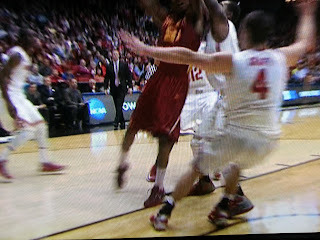 So Aaron Craft left four points on the floor, and all of a sudden Iowa State punctuates a 15-2 run with yet another 3, and Craft turns the ball over yet again, and then he fouls Iowa State into the double bonus, and Ohio State is down. Uggh. And Craft looks like a disaster. And then it happened. Craft was absolutely unfazed. Drives to the basket for a great score and-one. Despite another ridiculous call (loose ball dive on Scott) and yet another travel at the three-point line by Ross, Aaron Craft came up huge. Will Clyburn drove to the basket with 1:41 left, and in a much-debated call later on the set of NBA Tonight, Aaron Craft drew a charging call. and I'm sure the ref had an eyeful of his left foot. 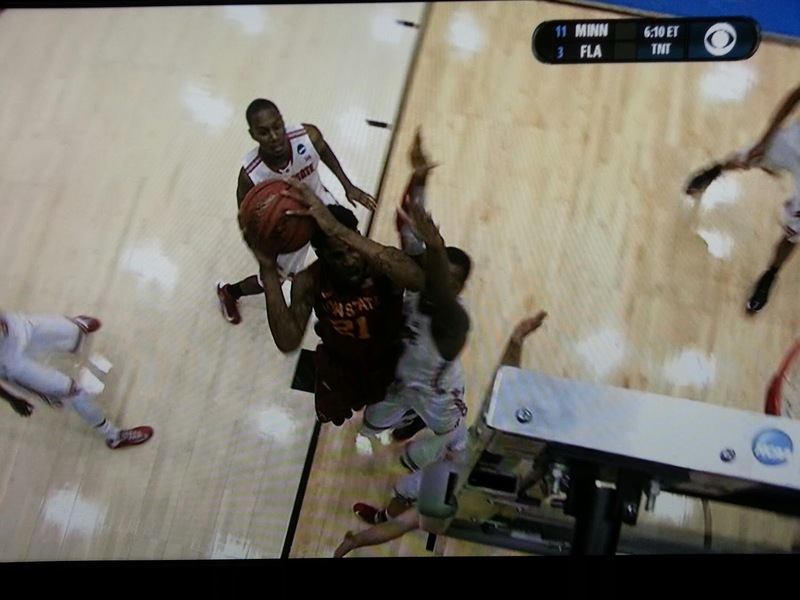 What I think is that no way in hell can a ref make the call based on where the heel is "hovering", calling the infraction from 10 feet away on the baseline. The ref is looking to see where the player is standing, and he was technically standing, and by that I mean "touching the ground," outside the area. 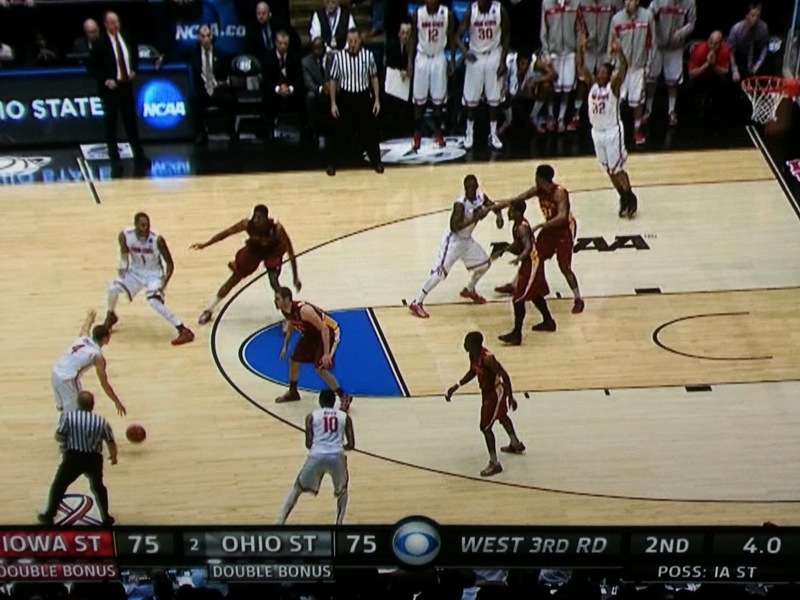 Despite Craft missing yet another free throw, Ohio State had the ball with 45 seconds to go, and what happened? Craft (despite my sage advice above) shot a long range jumper. Brick, but somehow OSU retained possession. Waving off Deshaun Thomas. Balls. The rest, as they say, is history. Deshaun Thomas was cramping, but still is the most effective scorer on the floor, and had a look at the top of the key. But what did Craft do? Waved him off! Then, our embattled hero took his three. Ballgame. Ohio State survives and advances to dance in LA.